Traveling abroad and getting sick or injured and trying to get back home is not something we all think about when planning a trip. The truth is you may never think about this until you actually are faced with a real-life emergency and you're out of the country, away from familiar doctors and the healthcare you've become accustomed to at home. If your loved one becomes seriously ill or injured and you cannot find an air medical flight home, the best thing you can do is to contact the U.S. Embassy in that country. They will have names of reputable air ambulance companies that have the capability to fly internationally. Are they licensed? All air ambulance carriers need to have a current license to provide service. What is their safety record? Only the best air ambulance charter companies get rated by ARG/US. This safety rating assures that you're dealing with a company with no accidents. Another important consideration is whether you're dealing with an air ambulance broker or an owner/operator. The difference between the two is that a broker finds an aircraft for you; the owner owns and operates their own aircraft. You want to choose the owner/operator. They maintain their aircraft and are familiar with them, knowing their safety record, maintenance history and more. A broker won't necessarily know the history of the aircraft they find for you. Be sure that there will be trained, specialized medical flight crew on board. Medical personnel on an air ambulance should have specialized training and hold additional certifications that regular RNs or paramedics don't have. Flight nurses and flight paramedics are trained on flight physiology and know how to operate the special medical equipment used in an air ambulance. Flight crews should be very experienced in the type of aircraft being flown have a current medical and have experience flying internationally. 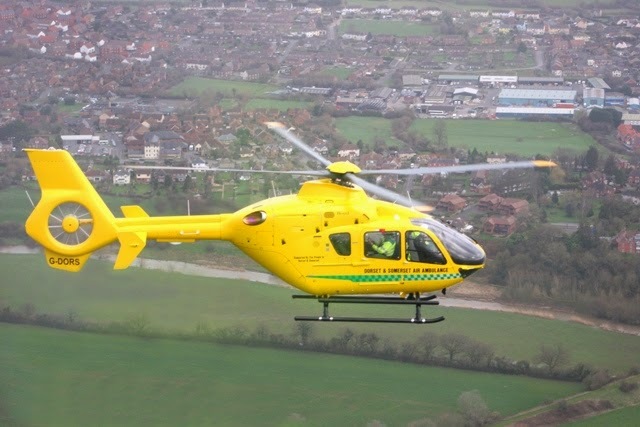 Some air ambulance companies act as a concierge and set up every aspect of the transport. They arrange ground transportation, help with baggage, and contact your insurance company for you. Some have on-staff attorneys that can be an advocate for you and handle any resistance from your insurance company. If the company has the ability to fly internationally, chances are they will be transporting the patient in a business jet. Find out what kind of jets they use, how many pilots will be on-board, whether there is enough room for family members, baggage and in some circumstances, a pet. Find out if there will be any out-of-pocket cost involved or whether insurance covers the flight. In some circumstances you may required to put down a deposit. Doing your due diligence will pay off and you'll find a reputable air ambulance provider. It would be a good idea to find one before your next trip. Another thing you may want to do prior to a trip is to call your insurance company and find out if you're covered for air ambulance service ahead of time. If you're not, look into trip insurance that covers air medial transports. An internet search should bring up several to consider.